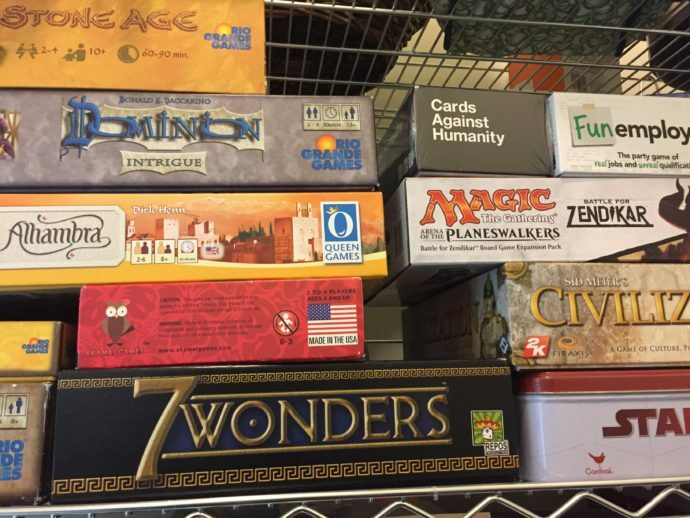 Head over to the thrift store and buy a few new board games. Play with your partner after your baby goes to bed. Done and done. She added a favorite family recipe of Fettuccine Alfredo to the date. When I try this assignment over the weekend, I plan to add a fancy dessert (I would do anything for Whole Foods’ chocolate cream pie) turning the grand total of the date from about $5 into about $11. Please share your fun at-home date night ideas with us in the comments! I wrote about a fun way to spice up an old game that would be perfect for date night! Cool idea! I love game night and date night! Mixed the two? Fun Fun Fun! Thanks. Over the years we’ve also picked a new board game we’d like to own and either snagged it on the “black Friday” deals or put it on our holiday wish list when family has asked for gift ideas. Our collection has grown slowly and now that the kids are old enough to play with us we have a blast no matter which one they grab and bring to the table! I Loved playing Never I have ever game on our first Date night with my Husband 😉 It was an amazing experience that made us just click and gel together. Surely had great memorizes of all the fun.